Company Flowers & Gifts, Too! Marnie Nicholson had a lifelong dream of running a flower shop. In 1991, she got her chance when her husband, John, left his 9-to-5 Washington job so the two could open a business together. Since then, the Cherrydale florist has been a go-to for locals wanting to share their love, condolences, congrats or secret admiration, often with blooms that you won’t find elsewhere. 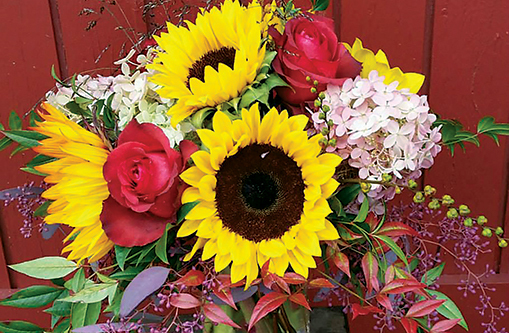 Thanks to a far-reaching network, the options include “Dutch bunch” arrangements from floral wholesalers in Holland, and exotic flowers (varieties that aren’t native to the East Coast) courtesy of a connection in San Francisco. As its name implies, the store also sells last-minute gifts and goodies—perfect for those occasions when emotion supersedes foresight.